Home Beauty The Truth about Semi Permanent/Tattooed Eyebrows? 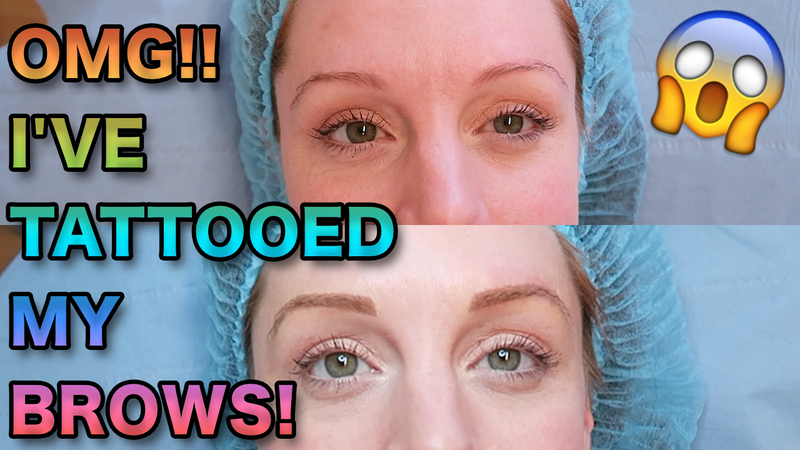 The Truth about Semi Permanent/Tattooed Eyebrows? 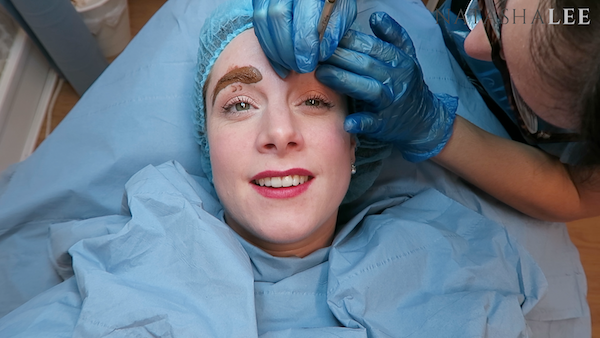 The best semi permanent eyebrows? – I’m going to start by saying that I am freakish about my brows, no word of a lie, one might even say a tad OCD! One of the main reasons that I qualified as a beauty therapist was because no therapist had ever managed to “do” my brows in a way which I was 100% happy with and felt that I didn’t have to correct in some way after the appointment. A little bit of an extreme reason for dedicating a year of my life to a qualification but in my opinion, totally justified and a worthy investment! Being that I’m so particular about my brows, I’d never ever considered semi-permanent or permanent “tattooed” eyebrows (really Semi-Permanent Make-Up is actually Permanent Make-Up). 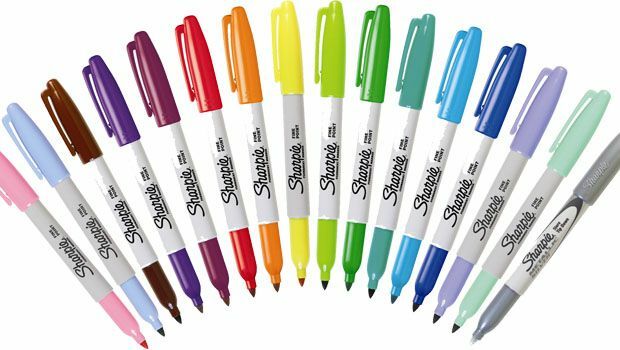 The thought filled me with dread and images of sets of brows that looked like they’ve been drawn on with a sharpie marker. It’s one thing to have a bad wax and tint job, but at least that would grow out in a couple of months, but permanent make-up? Well it’s PERMANENT! No changing your mind after, no waiting for it to grow out, you are stuck with whatever eyebrows (and makeup) that’s been permanently applied to your face! THEN SOMETHING HAPPENED TO CHANGE MY OPINION….. I’d had a tech on my Facebook for sometime. She’d followed me on YouTube and produced beautiful nailart. About a year ago pictures of her semi-permanent/permanent makeup started popping up on my timeline. Her work was out of this world! No slug-like eyebrows that clashed with the person’s colouring. No block looking caterpillars akin to a Sharpie marker attack. Instead were works of art, honestly and truly. 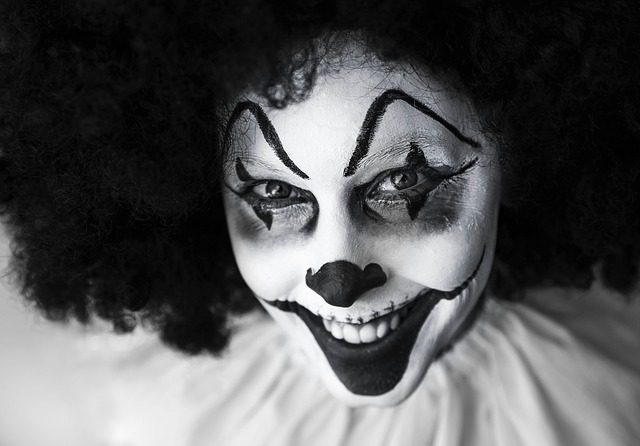 Brows that looked like a gift from an angel, with tiny perfect hair-line strokes of permanent makeup, making it hard to tell what was real hair and what was created. 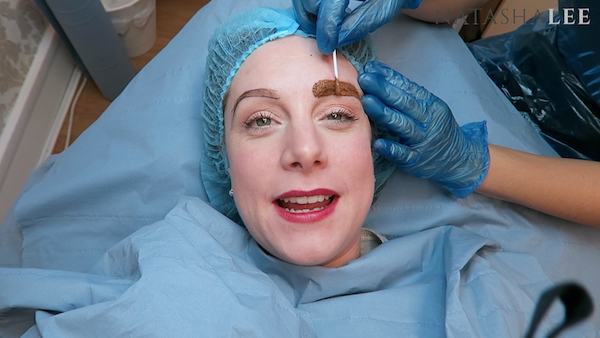 I was mesmerised and started following her work closely, watching each set of brows she masterfully created and with each picture I found myself being won round to the idea of getting my patchy, uneven natural eyebrows fixed permanently. Her name is Hollie Houston, and she really is one to watch! This lady is a game changer in the world of permanent makeup and creates the best semi permanent eyebrows that I have ever seen! 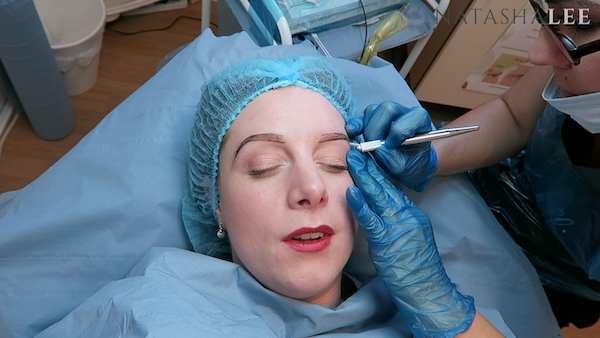 I got chatting with Hollie online a few months ago and explained my fears and issues about semi-permanent and permanent makeup. I said that I was particularly concerned being ginger, because people always just tinted my fair brows dark-brown and then they looked like pieces of fuzzy felt stuck on my forehead! The only thing worse that that would be if it were permanent! Hollie was amazing. 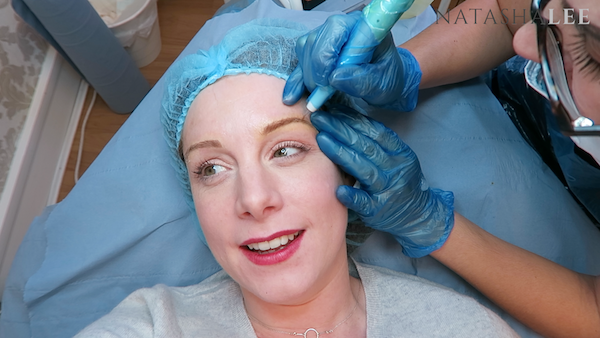 She explained the 3 main types of Semi-Permanent/Permanent Makeup; 1. Machine Permanent Makeup, 2. Microblading & 3. Diamant Blading, and invited me down to her beautiful salon, Bello The Salon, to experience all 3. I was excited and nervous all at the same time. I’ve never even had a tattoo on an inconspicuous part of my body, so my first time was going to be on my face!! Machine Permanent Make Up can be used to create hairstrokes and powdering by changing the needle type, technique and speed. This is the most common type of semi-permanent/permanent makeup, but can sometimes lack detailing and realistic depth. Microblading Permanent Make Up is an alternative to machine permanent make up. The disposable tool itself is made up of tiny needles lined up together in a chisel shape. This tool is then used to scratch the surface of the skin and then pigment is placed onto the scratch in order for the pigment to implant the lower layer of skin. When people find out that my perfect eyebrows are actually the result of semi-permanent/tattooed brows, the first thing that I’m always asked is “Is it painful?”. I have to honestly say that I did not find the experience painful in the slightest. Eyebrow threading? Now THAT’S painful, but this, well it just felt quite relaxing to be honest. Maybe I’m a freak or maybe I’m just not used to getting time to lie down in peace, but I did not find the experience painful in the slightest. If you don’t believe me then just take a look at the video at the top of the page. 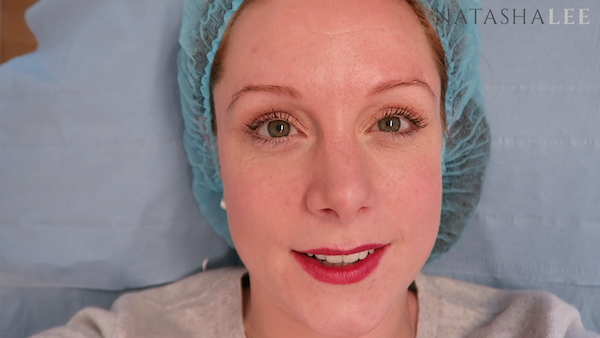 I talk you through the entire process on camera without even the slightest flinch! Hollie offers a range of semi-permanent eyebrow services (as well as other state-of-the-art nail, body and beauty treatments) at Bello The Salon and it’s probably best to check out her website for full details. I opted for Platinum brows as these seemed the most gentle look of the semi-permanent makeup and I was feeling a bit scared to be honest. 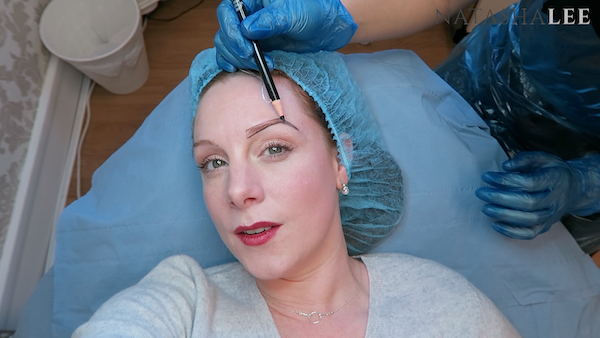 It meant that I could try out all three methods of permanent makeup of the shading, microblading and diamant blading. With hindsight, her work is so perfectly natural that I could have gone for Power brows (slightly bolder than Platinum Brows) and still been totally happy with the end healed result. Hollie begins with a consultation taking your personal details and ascertaining the final look that you are after to ensure that you leave with the best semi permanent eyebrows that you could dream of! 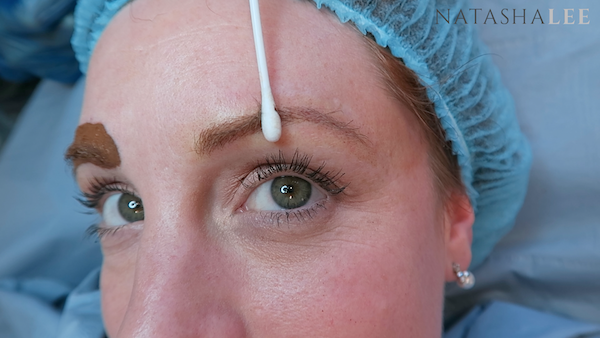 Prior to your first appointment having the brows applied you will need to come for a patch test. 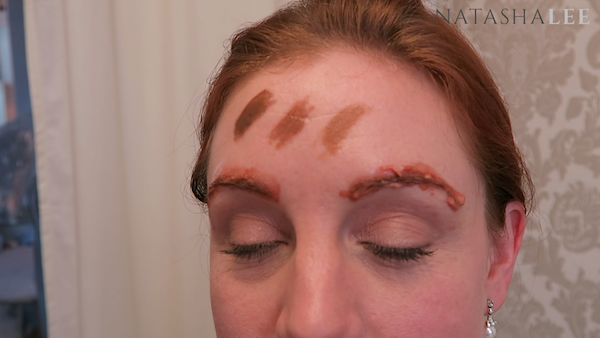 The area around your brows is cleansed thoroughly and a cream applied. Next Hollie tries a few pigments on your skin to decide with your the right colour for your finished look. Then Hollie begins to measure your brows and apply a “template” using a special brow pencil. This will be the outline shape of the eyebrows which Hollie which actually work inside of. The first stage of the process on the journey to the best semi permanent eyebrows is Microblading, and then pigment is applied into the microbladed strokes. This process just feels a bit like your skin is being scratched but I wouldn’t describe it as painful. The pigment is left for a little while and then removed ready for the next stage. The next step is the Diamant blading. 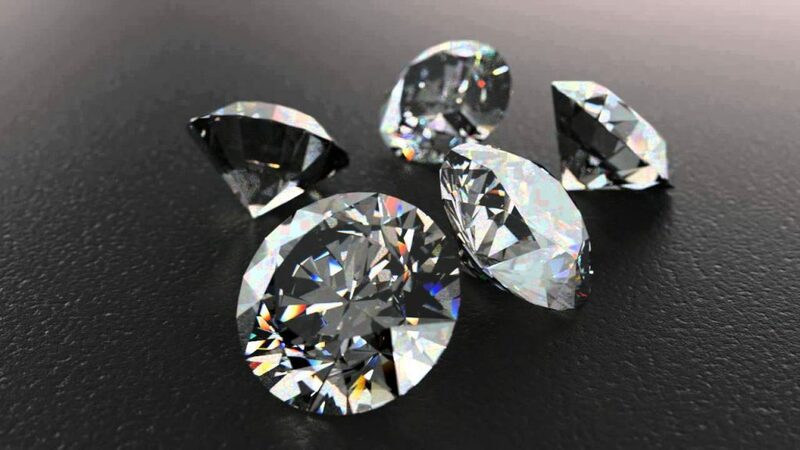 This is where a tiny tool which is a precision slither of genuine diamond (like the tools that surgeons use) is used to make the tiniest 0.05mm hair-stroke scratches on the skin. Again, pigment is applied and left whilst working on the other brow, before being removed ready for the final stage on the way to your best semi permanent eyebrows. This stage was so gentle that I didn’t even realise when Hollie had started doing it!! Finally is Machine Shading and this is just to add some depth to the design of the brows and give a more 3D natural looking semi-permanent eyebrow. That’s it, you now have the best semi permanent eyebrows that you could have every dreamed off! The whole process is both surprisingly quick and surprisingly painless, but that is because Hollie Houston is trained and qualified to the highest level in these treatments. You will just need to return in 4-6 weeks for a top up and that’s it!! The best semi permanent brows that you could ask for will be yours for about 12 months until it starts to fade and you need a top up. Before Hollie Worked Her Magic!! 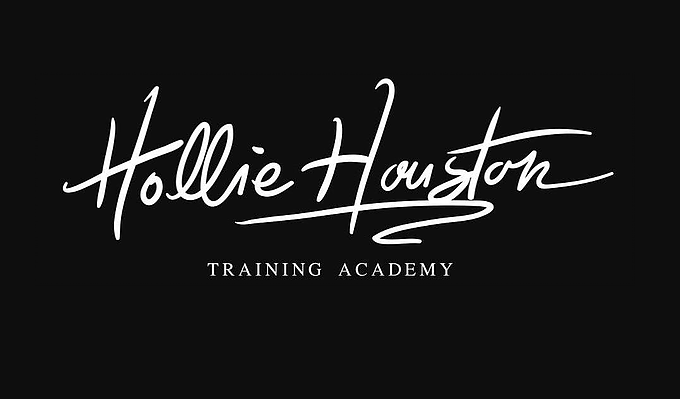 In actual fact, Hollie has now opened her own training academy teaching her specific brands of brows as well as Microblading, Diamant Blading & Machine Shading plus other semi permanent makeup. If you have been thinking at all about training in microblading, diamant blading or semi permanent makeup, then I could not recommend Hollie highly enough. If you’ve ever even remotely considered having semi permanent eyebrows, then again, it’s worth travelling to Hollie! 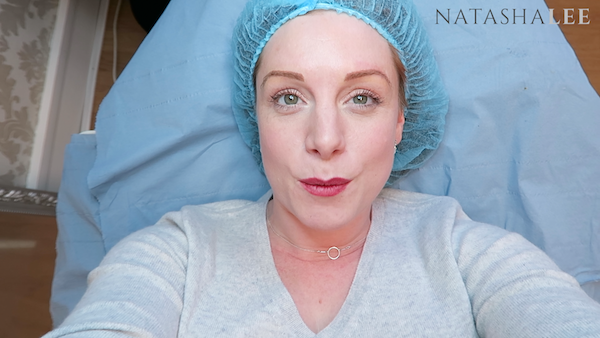 There’s lots of things to be wary of when going for semi-permanent or tattooed makeup, it’s best you watch the second half of my video above to find out the warning signs to watch out for and things to be careful of when going for these treatments. Finally, just to let you know about the healing process. Again I have a more in-depth review of the healing process itself including close up images of my healed brows in my video at the top of the page, but in honesty there’s not much to mention. I was worried with the amount that I have to be on camera that the healing process would cause me issues with my schedule but I really needn’t of worried! You cannot get your brows wet for 4 days after the procedure but I just used dry shampoo instead of washing my hair for the 4 days, and put a shower cap on in the shower that I pulled down over my eyebrows to keep them dry ?. 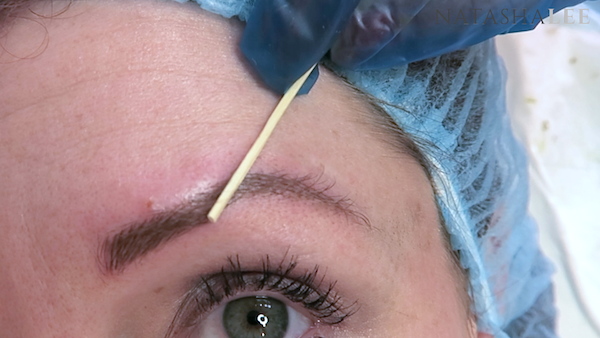 About 4-5 days after the procedure the skin in the brows will get a little dry and flakey where it’s healing but it’s more like a bit of fluff skin in the brow hairs that can be brushed off and is only noticeable from a few inches away. Other than that, I have more issues after waxing then I had with the whole procedure. Leave me a comment below to let me know your thoughts or experiences with your brows and semi-permanent/tattooed make up. Previous articleDOTTY HEART NAIL ART | PASTEL | COLOURBLIND TEST!